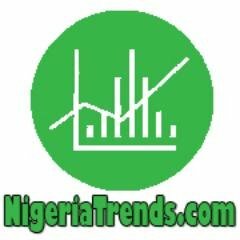 NigeriaTrends.com — Not too often you hear, see or read news like this. As a Nigerian woman who already mothers two children, delivers quintuplets at UCH Ibadan. The woman did not birth twins, not triplets, but 5 babies in one day! Bringing her total number of children to 7; NigeriaTrends.com reports while also congratulating the couple! The people of Oyo State have been going agog since the news of the Ibadan woman birthing quintuplets went viral in the region. Many Nigerian NewsPapers are reporting that a 28-year old woman, Sakirat Rasaq, was delivered of five babies (three boys and two girls) at the University College Hospital, Ibadan on Monday (February 15, 2016). The quintuplets were born at hospital’s special-care baby unit. Father of the babies, Alfa Yusuf Ewenje, 32, said he was a full-time Islamic cleric, adding that his wife was referred to the UCH from Adeoyo State Hospital, Ibadan. “They said it was our best option. The babies arrived around 8.45am on Monday and they are all in perfect health,” he added. The couple, who already had two children – Umoor (5) and Mistura (3) – lives in the Ijokodo area of Ibadan. Although the new father of quintuplets expressed happiness at the birth of the babies, he said he would need help from well-meaning Nigerians and the Oyo State Government to cater for his large family. “The situation we found ourselves has exhausted our savings and with five additional children to our family, I need help to feed this family. “My dream is for them to be leaders in this country, so that no matter my present situation, people will know them for good. “Though, I am greatly handicapped now because I only make living out of my Quranic teaching class, I want well-meaning people to come to my aid. The quintuplets delivered by Sakira Rasaq in Ibadan. Congrats to the couple once again! What’s your reaction to this Nigerian trend? Share your thoughts on our website!